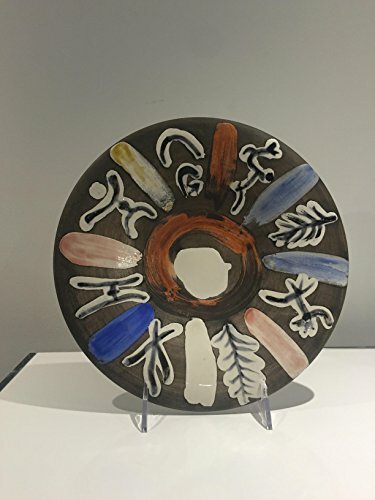 Ramie 465 - Motifs Number 45 1963 Edition of 150 White earthenware clay plate decorated in engobes and enamel in black, reds, blue, yellow and white Inscribed "EDITION PICASSO" on the underside Stamped "MADOURA" and "EMPREINTE ORIGINALE DE PICASSO" on the underside. Madoura Plein Feu pottery stamps on the reverse. Diameter: 10 inches Pristine condition.